January 20, 1997 Curtis Charles Flood, former professional baseball player, died. Flood was born January 18, 1938 in Houston, Texas and made his major league debut in 1956. Flood spent most of his 15 season professional career with the St. Louis Cardinals and was a three-time All-Star selection and a seven-time Golden Glove winner. Flood retired from baseball in 1971. Despite his outstanding playing career, Flood’s principal legacy was off the field. 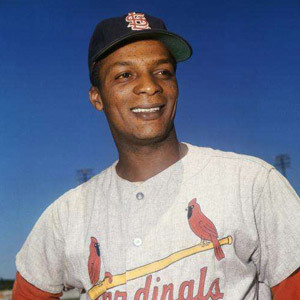 In 1969, the Cardinals attempted to trade Flood, but he refused to be traded. He forfeited a $100,000 contract and sued Major League Baseball alleging that they had violated federal antitrust laws. The case eventually went to the Supreme Court which ruled in favor of Major League Baseball. Although his legal challenge was unsuccessful, it increased solidarity among other players and eventually led to free agency. In 1971, Flood published his autobiography, “The Way It Is.” A book about the court battle, “Baseball’s Reserve System: The Case of Curt Flood v. Major League Baseball,” was published in 2006.